Trading breakouts is a popular trading method that captivates the attention of many new traders. It’s not surprising given that it throws up quick profits – when you get it right. 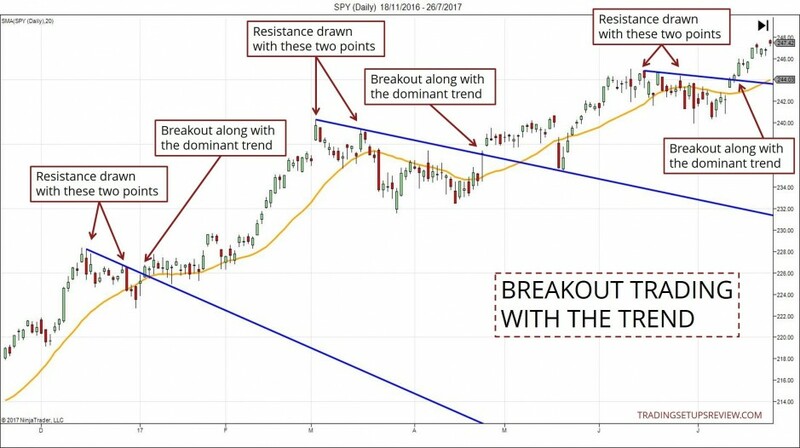 Trading a breakout is not as easy as it seems. Breakout trades look notoriously easy when you look at a chart after a breakout. But as you observe the market for potential breakouts, things are less sunny. The experience of a breakout trader is often filled with false moves and whipsaws. Here, you’ll find seven powerful tips to help you trade breakouts with less frustration. But first, you must understand what a breakout trade is. Hence, an essential trading skill is the ability to tell if a support/resistance will hold or fail. Breakout trading aims at making money when support and resistance fails. When a resistance level fails, you aim to buy as the market breaks out above it. When a support level fails, you aim to sell as the market breaks out below it. Wait for the market to break beyond the support or the resistance. Enter the market as volatility surges after the break. Breakout trading uses only basic support and resistance as its premise. Hence, you can use this approach on any time frame (including intraday and daily). 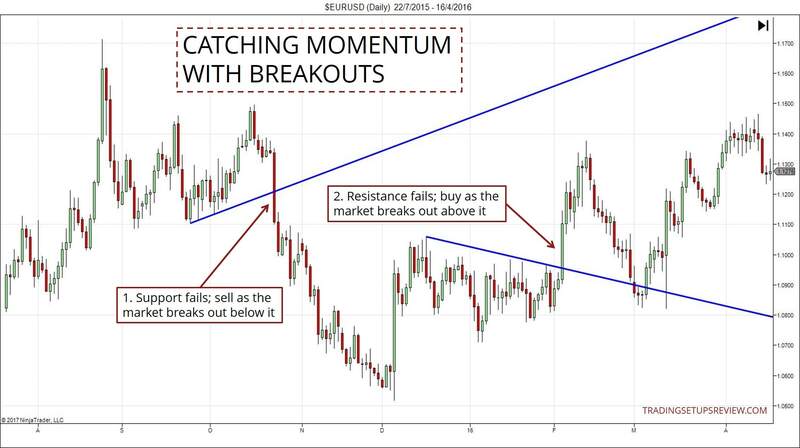 Breakout trading is a form of momentum trading. Waiting for momentum to join it. Reacting to and not predicting the market. These insights set the groundwork for you to make the most out of the trading tips below. 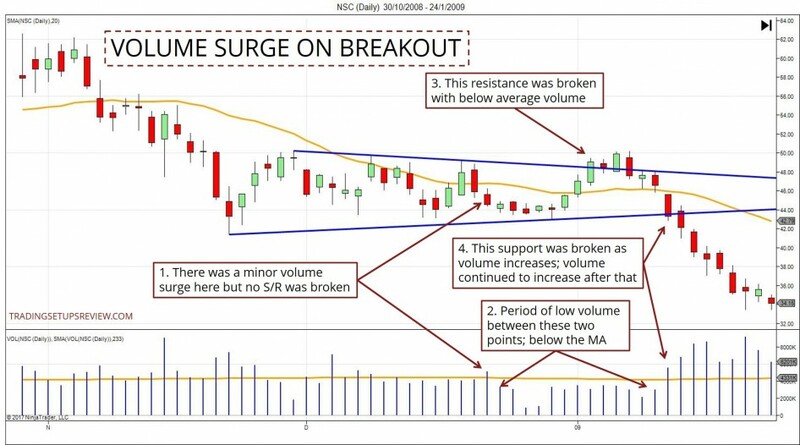 A surge in volume is one of the best ways to confirm a breakout. But it’s not just about an increase in volume. Ideally, you want to see a period of low volume trading before a surge in volume. In the chart example below, you’ll see a volume moving average (VMA) in the bottom panel. It helps to highlight the volume differences. The light volume shows that the market is waiting for new significant information. The volume surge is a sign that the wait is over and that the market has transited into an active phase. A volume surge is not a strict criterion for breakout trading, but it does point to better trade quality. As a general rule, you should stick to breakouts that follow the prevailing trend. 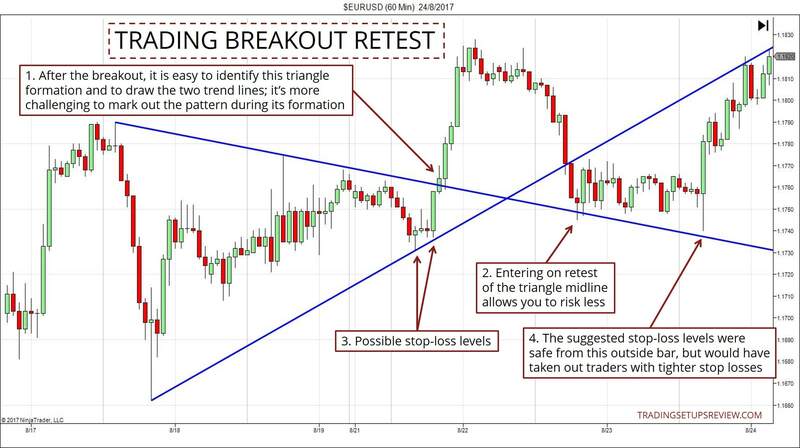 A breakout trade can involve various patterns like a triangle, wedge, or rectangle. But it can be simpler when you focus on breakouts in the direction of the trend. 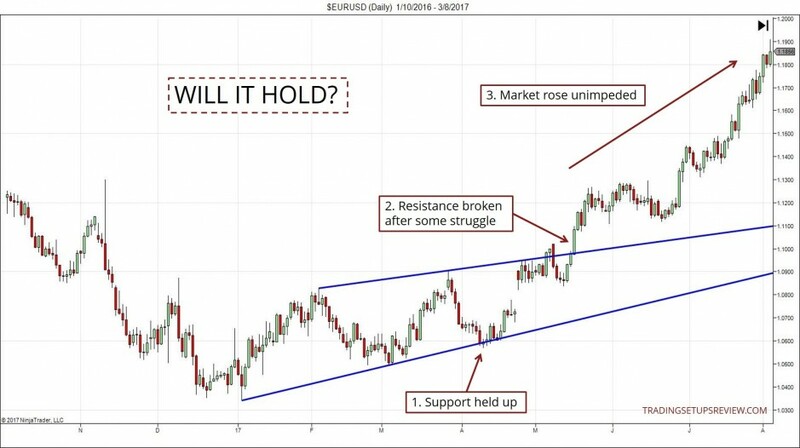 All you need are two swing points that allow you to draw a support or resistance line against the trend. The chart below shows this simple approach. 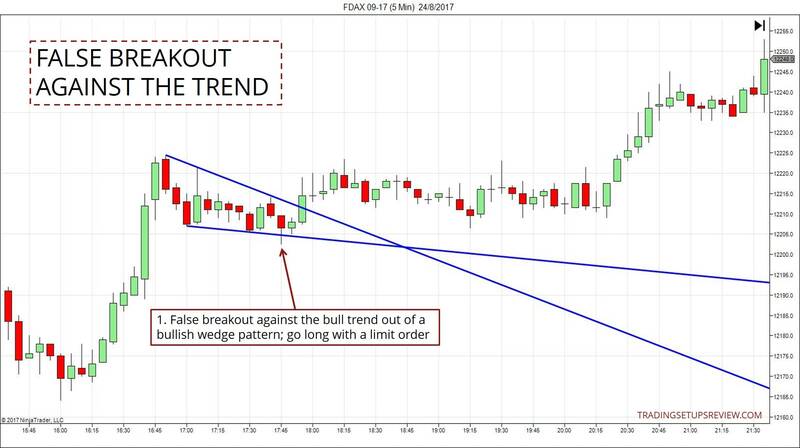 Breakouts offer an excellent way to join a trend after an elaborate pullback. Note to Course Students: Works better if you use valid pivot highs to draw the resistance line. You can find similar examples in Volume 2 Chapter 5.2.5. Every market has high and low volatility periods. For intraday trading, you can uncover these cycles quickly. 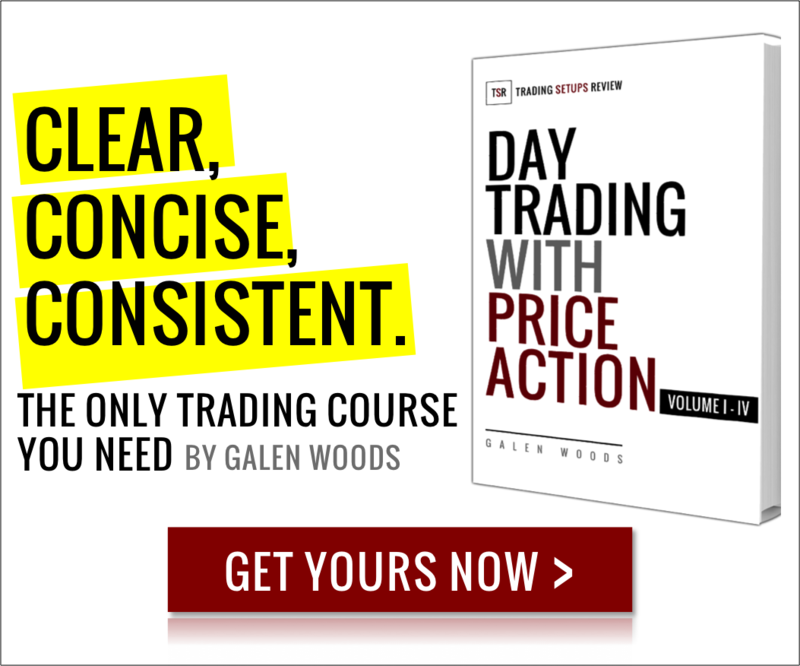 Simply analyze the average hourly range of your market. Typically, a couple of hours account for the majority of a session’s range. Volatility tendencies on daily charts are harder to grasp. This is because they depend on fundamental drivers. E.g., Volatility might increase following a new product announcement. Remember, spending more time on trading does not mean more profits. Instead, trading at the right time is what matters. If you like high probability trades, consider entering the market upon a retest. This approach has two big advantages. First, it depends on a confirmed support or resistance level. This leads to a higher probability setup. Second, you can expect this strategy to exhibit less adverse movement. Hence, you have a sound basis to set a tighter stop-loss. However, this method is challenging for an impatient trader. You need to wait for a pullback that may never occur. Hence, you must be prepared to miss some highly profitable breakout trades. After a breakout, the market volatility increases. Hence, it’s essential that you have a clear exit plan that you can execute without hesitation. To avoid hiccups, consider paper trading to hone your trade execution skills. A breakout trade is often based on a consolidating formation. E.g., price channel or triangle. Hence, the natural target is one projected using the same formation. A volatile market often breaks out swiftly and snaps back just as fast. Hence, you should set actual limit orders. If you adopt a wait and see approach, you might give back the meaty part of the move. Experienced traders can be more flexible and exit once the momentum falters. Letting profits run without a fixed target only makes sense if you expect a new trend to form. E.g., breaking out of a significant price pattern that shows signs of accumulation. The most conservative stop-loss is one placed at the opposite end of the trading range. For a price formation covering a huge price range, this method takes on excessive risk. A volatility stop-loss is a more sensible approach. As you learn how to trade breakouts, you will also gain insights into false breakouts. Don’t waste the trading opportunities that false breakouts represent. 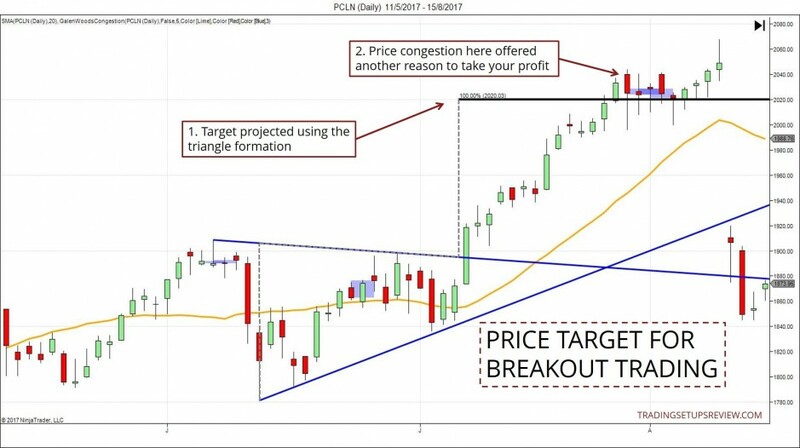 Here is a simple winning recipe for trading false breakouts. The chart above shows a false breakout with a bullish Pin Bar, a signature of failed breakouts. For another false breakout strategy, take a look at Gimmee Bar. It combines Bollinger Bands with price patterns to trade false breakouts. You can streamline your trading process by scanning for breakout candidates. If your scanner allows, you can scan for chart patterns like flags, wedges, and channels. You can also scan for stocks with decreasing volatility to add to your shortlist. For this, you can use Bollinger Bandwidth or falling ADX values. Refer to Scan 2 in this article. Never set an automatic trade entry based on a scan. You must always review the charts individually to weed out the weak candidates. Breakout trading combines essential price action trading skills into a single approach. No price action trader can afford to ignore breakouts. Due to its simplicity, breakouts take on many forms. A breakout from a significant accumulation area is also a bullish reversal. A breakout from a minor bull wedge triggers a retracement trade. You need to understand these nuances because the larger context is always crucial. It gives you an idea of how you should proceed with the trade. Should you let profits run or take small profits? Should you enter straight away or wait for a retest? Patience and decisiveness are critical attributes of a breakout trader. You need patience during the low volatility period. But you must be decisive when the volatility explodes. Luckily, having a well thought out trading plan helps. Together with the simple tips above, you now stand a much better chance as a breakout trader. Glad it’s helpful for you! I find many breakouts fail while day trading.Because pros are sitting on the other side and failed move can be violent. ( this is according to book “trading for a living”. That’s true, especially for counter-trend breakouts. This is why it’s important to respect the market bias and to be aware of the trading opportunities that false breakouts present.